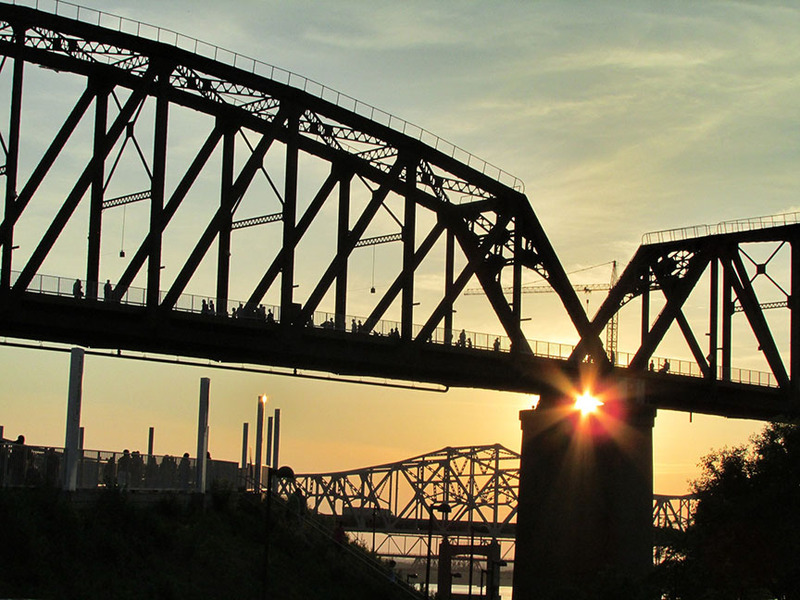 Louisville, Kentucky’s largest city, is more than baseball bats and horseracing (although we’ll talk about those in a minute). Being the 27th largest metro area in the U.S. has its perks. For example, it’s a large enough city to draw in job opportunities (the city recently ranked #18 nationwide for job opportunities in health care and affordable housing) while maintaining a big helping of quaint Southern charm. As you consider purchasing a new Louisville home, we have a few facts for you to consider about the city. Churchill Downs in South Louisville plays host every year to more than 150,000 attendees of the Kentucky Derby, held the day after the Kentucky Oaks, which itself is the third most-attended day of racing in the U.S. (For reference, the most recent Superbowl, held in Arlington, TX, was the most-attended Superbowl in history and saw only 103,219 attendees.) On top of the horse races, which continue in a tradition started back in 1875, the derby is also known for its fashion: those famed hats. The large, feathered, and otherwise extravagant headwear started becoming a staple at the event in the 1960s, and have attracted nearly as many admirers as the derby itself. While donning the stylish chapeaus, the derby observers are also downing approximately 120,000 mint juleps, the event’s traditional drink. Louisville’s real estate is in a great stage for buyers right now. In fact, the city was recently named the #6 best affordable place to live in the country, with residents there paying less than 30% of their income on living expenses. FortuneBuilders reports that local homes are continuing to appreciate in value, following a years-long trend, though at a slower rate than the national average. For example, Louisville homes gained about $7,500 in value over the past year, while the average U.S. home gained nearly $15,00. Nonetheless, the city’s strong economy, coupled with available and notably affordable housing, are expected to maintain the healthy market. Beware, lovers of lactose: If you’re walking down the street with an ice cream cone and want to pop it into your pocket for a quick minute to free up your hands — forget about it. In Kentucky, it’s illegal to carry ice cream in your pocket. According to Louisville Magazine, the law potentially dates back to the 19th century and marks an effort to stop people from stealing horses by luring them away with ice cream. This city is inextricably linked to the American pastime. The Louisville Slugger Museum and Factory started operation in 1884 but was grand-slammed into the spotlight by big league legends like Babe Ruth and Lou Gehrig choosing the bat above all others. In commemoration the museum now boasts a 120-foot-tall scale replica of Ruth’s slugger, and the inside contains a 17-ton limestone baseball glove. Surprisingly, Kentucky is home to world’s longest known cave system. Just shy of 90 miles south of Louisville, the Mammoth Cave National Park is absolutely worth the trip to check out. About 400 miles of the system has already been explored — so far — including the “Frozen Niagara” flowstone. Louisville itself has its own notable cave system, known as the Louisville Mega Cavern, which is a former limestone mine that spans 17 miles and has six ziplines. If that’s not enough for you, there are also 220 acres of exposed fossil beds at the Falls of the Ohio State Park that date back to the Devonian age — that’s 390 million years ago.